Local artists aren’t the only ones getting the spotlight in this year’s Art Fair. 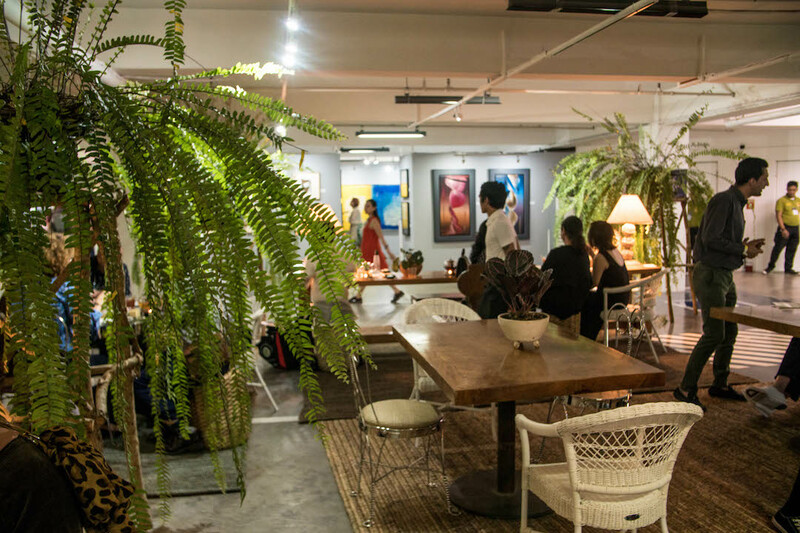 Brands such as Tsaa Laya and Proudly Promdi are among the many local social enterprises that have made The Link Carpark their temporary home for the weekend at a quaint tea salon. Simply Thai, which specializes in contemporary Thai fare, offers some interesting desserts and savories which are either complemented or contrasted by the flavors of Tsaa Laya’s teas, all in all creating an interesting dining experience. Well, maybe dining isn’t the right word. For their Art Fair tea salon, Tsaa Laya and Simply Thai created a high tea degustation. The space is filled with a variety of pieces from Soumak. Simply Thai’s signature delicacies include creatively concocted sweets like takoh sakoh (steamed coconut pudding and water chestnuts with coconut cream) and spiced curry mousse cakes (coconut mousse mini cakes flavored with either red, yellow, or green curry), and more classic savories like chicken satay. 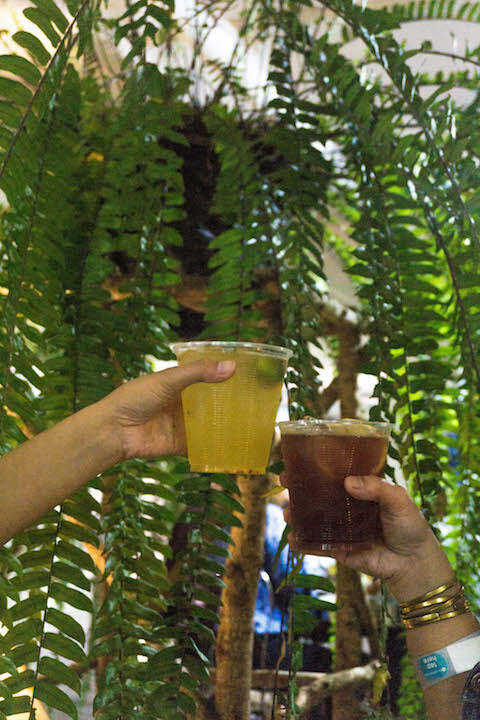 Tsaa Laya’s tea offerings, on the other hand, play along with the flavors Simply Thai has. Their lemon ginger tea, for example, makes for a great contrast to the mild takoh sakoh, but complement the spiced mousse cakes. Aside from tea and small bites, the tea salon also offers uniquely flavored gelato. The tom yum kung gelato uses coconut almond milk as a base and is infused with Simply Thai’s tom yum goong. They also have a Thai milk tea gelato, for those who’d prefer a more classic taste. There’s also something for vegans, as they have guinomis gelato, which uses almond milk as a base. It also comes topped with Tsaa Laya’s roasted heritage rice crispies. To round up the experience, Proudly Promdi—a local liquor distributor—also offers cocktails using handcrafted bugnay and tapuey rice wines from Ilocos. Two of their special cocktails are made in collaboration with Tsaa Laya: the Cassandra uses the lemon ginger tea with bugnay, creating a fruity-spicy mix. The Siesta sa Bukid, on the other hand, has Tsaa Laya’s Coco Melange with tapuey rice wine—a sort of local piña colada, if you will. The tea salon runs until Feb. 24 at the seventh floor of The Link. 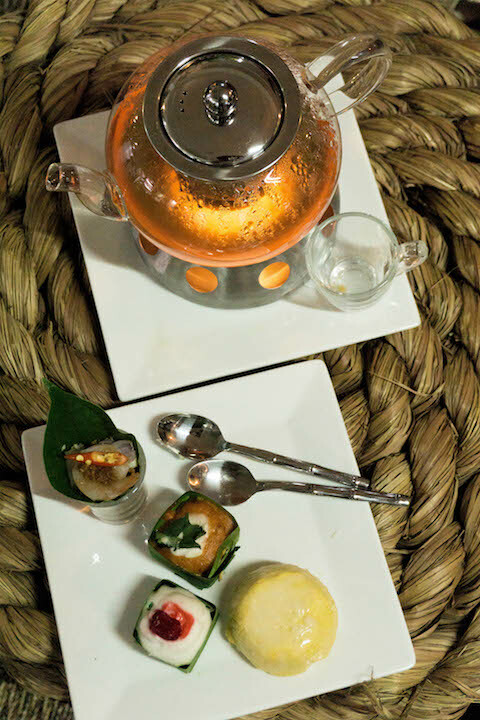 Simply Thai and Tsaa Laya’s tea degustation will be available at the restaurant this March.